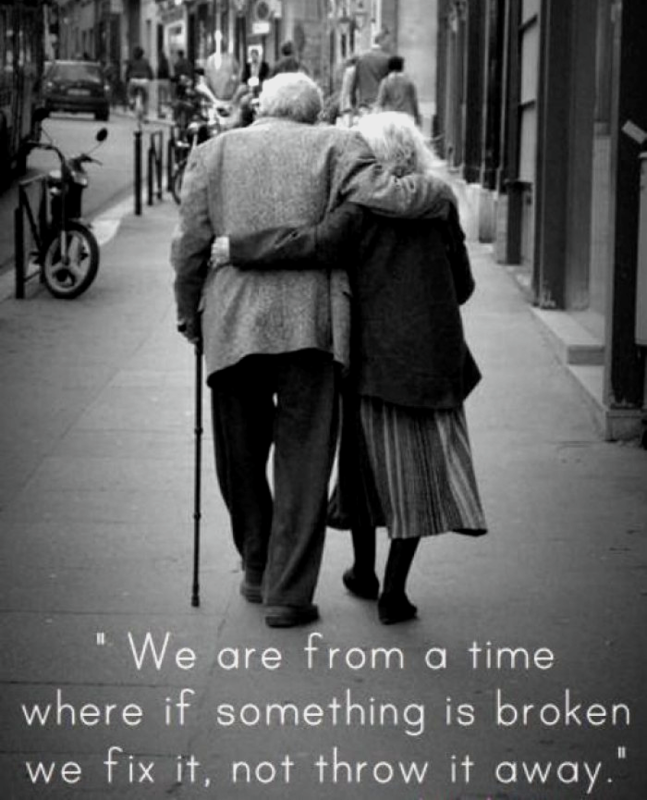 This is a great and truly inspiring photo of an elderly couple that have learned the true meaning of love. It is important to remember that no one is perfect and that to truly love someone is help build them up, especially when they are at the point of needing a little fixing up the most. So if you can fix up something broken in your relationship, it will help grow your love even more.